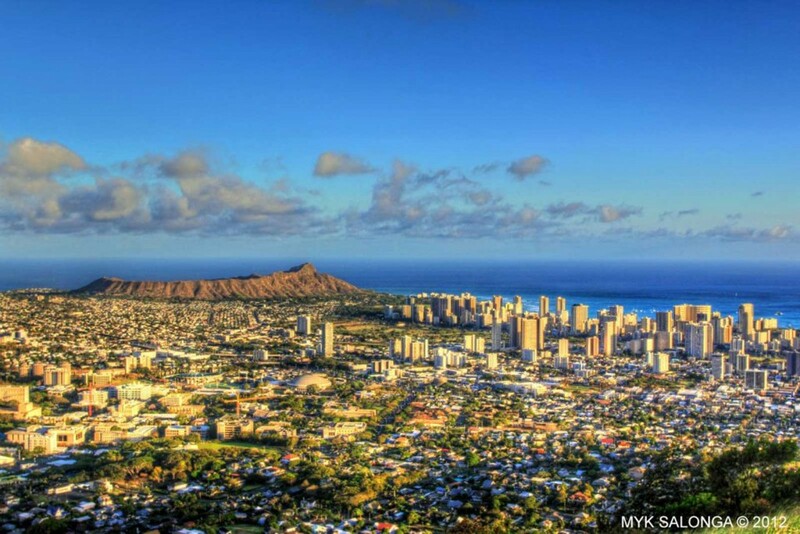 The iconic Waikiki skyline casts it shadow toward the Diamond Head volcanic cone as Honolulu stretches inland across southern Oahu. The horizon seen from atop nearby punchbowl ridges disappears with the curvature of the earth, reminding us of Hawaii’s remoteness. The city below has changed in the last 200 years from swamp lands to villages and taro fields to sugar cane crops to shops and homes. It is only in the last handful of decades that Honolulu became a bustling city complete with skyscrapers and interstate highway. Since then, its skyline has become instantly recognizable around the world as a symbol of fun, friendliness, and relaxation–not because of the buildings, but because of the people inhabiting them and their spirit of aloha.